Your best bet is to plan your window replacement for a time of year when the weather will be warm, ideally in the spring or early summer. There are several reasons to do your window replacement when it’s warm. First, you won’t be letting in chilly drafts that will force you to pump up your heat—and therefore your heating bill! This is especially true if you’re replacing multiple windows. Second, caulk adheres better in the warmer weather than it does in the freezing cold. Ideally, latex caulk should only be applied when temperatures range between 40 to 80 degrees Fahrenheit. If you use silicone, you may be able to apply it in colder weather, but you’ll need to warm the caulk before applying so that it will flow smoothly and evenly. Finally, there’s what’s contractors call the “movement of the substrate.” Some materials—particularly vinyl and aluminum—expand in warm weather and contract in the cold. If you or your contractor caulk your windows when the weather is too cold, the caulk could crack and split when the materials eventually contract as a result of temperature drop. Likewise, caulk won’t cure properly in very hot weather—temperatures above 80 to 90 degrees Fahrenheit—so don’t plan your replacement for the dog days of summer, either. Of course, there are times when you can’t get around a cold-weather installation. 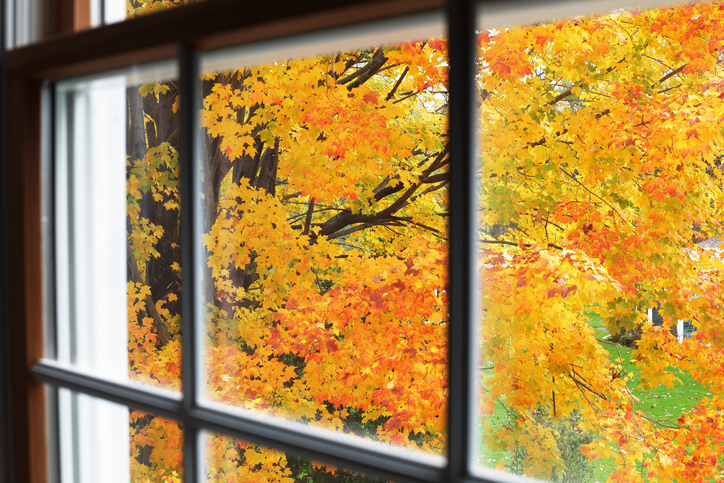 If your window is broken or cracked, you can’t exactly wait around until spring to put in a new one. If that’s the case in your home, all is not lost. 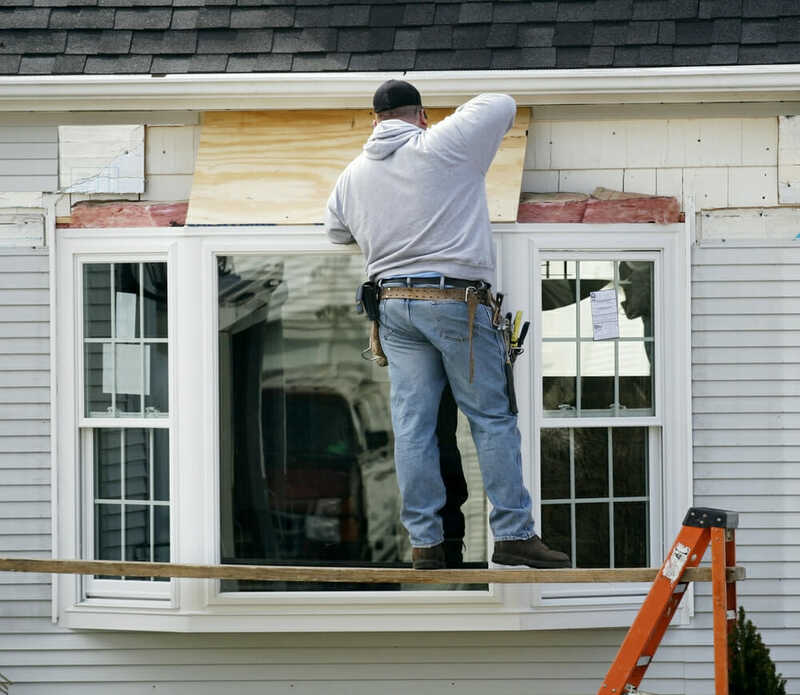 You just need to take a few precautions to make sure that the window is replaced safely. Have your contractor come on a sunny, warm day if possible. Schedule the job for mid-morning—this will give the materials a chance to warm up and expand. Be wary about a rainy forecast—some sealants need up to 24 hours to set before they can be exposed to water. If it has recently rained, ask your contractor to allow the exterior surfaces to dry before beginning the project. Make sure your contractor applies silicone-based caulk around the window instead of latex or acrylic. Not only will it more readily adhere to the window in colder temperatures, it’s also better at waterproofing and weatherization—which will make your heating and cooling work more efficiently and save you money on your energy bills, too. For exceptionally high performance, ask your contractor to use sealant that has high joint movement capability. This is usually expressed as a measurement on the bottle—a caulk with plus or minus 25 percent movement will perform better when installed in cold weather than one with plus or minus 12 percent. If you have to do your replacement in the dead of winter, have the contractor work on one window at a time to keep your home from becoming an icebox. If you’re installing a larger window or the types of windows that have multiple panels of glass—such as a bay window—ask the contractor to cover the width of the opening with floor-to-ceiling plastic, so you can help root out drafts while the installation is in progress. And close off interior doors that lead to the room—that way, you can limit the effects to just one part of your home and keep the rest of your home nice and warm. 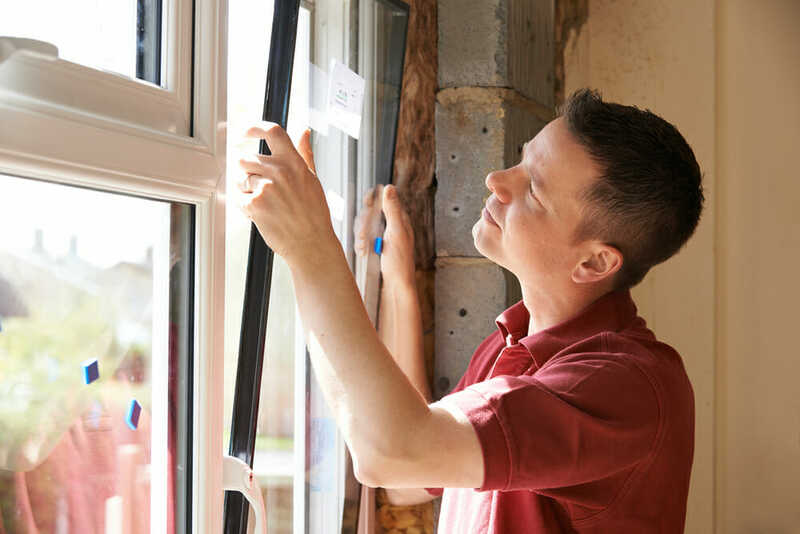 Although it’s advisable to install windows when the temperatures are most amenable, there are some advantages to an off-season installation. It may be easier to schedule a contractor, since window installers are much less likely to be booked up in the summer and winter. If cost is a concern, some professionals believe that windows are at their cheapest during August. It makes sense, too. Families are too busy with vacations and back-to-school plans to schedule renovations around this time. Meanwhile, you’ll be all ready when the temperature drops and energy-efficient windows become more of a concern. So it’s not all bad news if you must replace in inclement weather. Cut back any tree branches or shrubs that may create obstacles for your installer, particularly in the spring and summer when foliage is full and more likely to get in the way. Clean the area surrounding the window, since dust and pollen on uncleaned surfaces can mix with caulk and cause problems in spring and summer. Purchase several drop cloths and floor-to-ceiling plastic sheeting to protect your home from dust, paint, and debris—and to keep heating and cooling from escaping while the contractors work. Remove windows, curtains, blinds, and any other window treatments to avoid damage. Clear furniture away from the windows—but avoid creating an obstruction between the window and the front door. Your installer should be able to enter and exit your home without having to navigate an obstacle course. If you have a security system with window sensors, deactivate it before your contractor begins working. Keep pets secured in a room away from the work. Installers are hauling heavy materials in and out of your home and may not have time to keep an eye out for Spot. And if you do have to request an installation in the off-season, it’s never a bad idea to offer your installer a cup of hot coffee or a glass of ice water as they work—after all, they’re the ones who’ll really bear the brunt of the weather!